“City ‘til I Die” is the motto of the Detroit City Football Club (DCFC), a member of the National Premier Soccer League, the largest soccer league in the U.S. Now, the team is asking its fans to put their money where their motto is to help restore a historic neighborhood soccer stadium. DDFC is looking for a new home now that their fan base has outgrown their current home field, Cass Tech High School Stadium, just outside of downtown Detroit, “The success of the 2015 season saw us turning away people at the gates," DCFC co-owner Alex Wright said at the launch of the teams ambitious funding campaign. "It was a clear sign DCFC is ready to take the next step, and grow as an organization. Come spring of 2016, Keyworth Stadium will be the home field both our supporters and the residents of Hamtramck deserve.” The Keyworth Stadium Wright refers to is a small neighborhood stadium that is currently owned and used by the Hamtramck public school system. 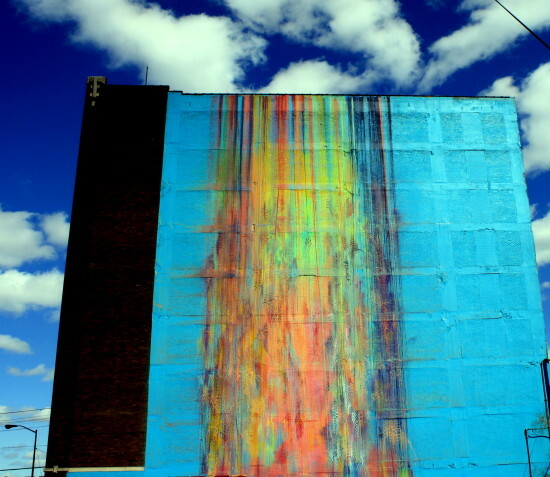 Hamtramck is a small city that is nearly completely surrounded by the city of Detroit, and sits five miles north of the downtown. The low concrete stadium sits directly in the neighborhood with small bungalows coming right up to its outer walls. As the first major Works Progress Administration (WPA) project in the Detroit area, Franklin D. Roosevelt was on hand to dedicate the stadium in October 1936. Now in great need of restoration, DCFC has an unorthodox plan to raise the needed funds to save the 80 year old stadium. 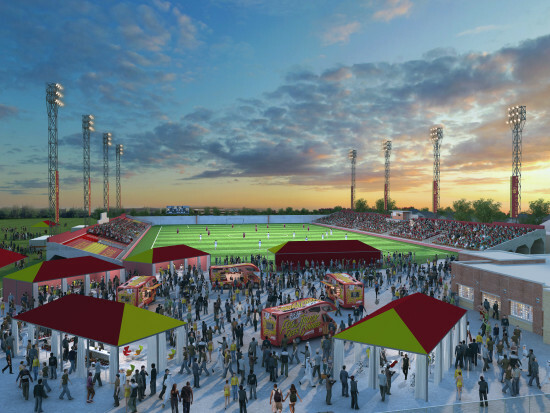 Leveraging new state legislation, DCFC is looking to its fans to help finance the estimated $3 million it will take to fully rehabilitate Keyworth Stadium. Under the Michigan Invests Locally Exemption (MILE) Act, local businesses are able to receive investments from Michigan residents anywhere from $250 to $10,000. This means that individual fans are able to lend money to the team in order to move the stadium project forward. Investors will then be paid back with interest from team revenues. This model of fundraising is a stark contrast to how many sports teams use tax payer money to fund stadium projects, and DCFC is very proud of this. Wright points out, “On our way to saving history, Michigan residents will have the opportunity to make history, by joining us to complete what we believe to be the largest community-financed project in U.S. sports history." The funding project, run on MichiganFunders.com, is hoping to raise $750,000 to add to the team's own funds. Improvements to the stadium will include much needed structural reinforcement to the grandstands, new bathrooms, locker rooms, lights, and press box. A first phase to bring the stadium up to usable standards is expected to be complete by April 2016. When finished, the stadium will hold between 6,000 and 7,000 fans, which is more than double the capacity of the Cass Tech stadium. Adding to its normal population of lions and tigers, Detroit may be gaining a whole new demographic of furry inhabitants if proposed legislation passes in the spring allowing urban farmers to keep livestock in the city limits. In many American cities urban agriculture means community gardens set up in empty lots. Detroit is no exception in this respect, but things might be getting a little more rural soon in the Motor City. After a year-long initiative to discuss the potential of urban farming throughout urban centers in Michigan, new legislation may be put before the local government as early as next spring concerning urban agriculture. The issue at hand is a question of raising, breeding, and slaughtering livestock in city limits, greatly expanding the definition of urban agriculture. 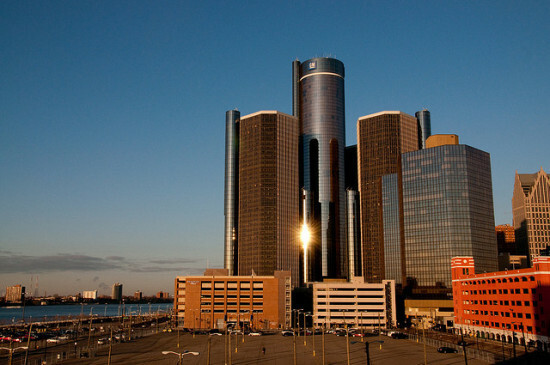 Currently keeping livestock in the city of Detroit is illegal. This has not stopped many from keeping chickens, ducks, and occasionally a few goats. Advocates of urban livestock point out the many advantages of urban agriculture, along with the addition of benefits that only come with keeping animals. Though community gardens have the capacity to produce no small amount of fresh vegetables, as well as providing a community developments space, livestock are able to produce meat, eggs, and milk, all while keeping overgrown abandoned lots trimmed through grazing. Opponents to the idea of keeping animals in the city cite concerns about health and safety of the public as well as the animals. With empty lots often strewn with litter, broken glass, or building ruins, some have concerns that animals will be in danger. Addressing the concerns of both sides of the issue was the task of an urban livestock working group set up in 2014. The 20-member urban livestock working group was formed specifically to discuss the possibility to allowing livestock in urban centers around Michigan. Cities such as Ann Arbor and Ypsilanti already allow limited livestock, and were used as examples by the group. Made up of state and local government representatives, farmers, environmentalists, and veterinarians, the group looked at economic, health and welfare, and land use issues. One of the pressing concerns of all sides of the discussion was the care of the animals. With many urbanites not familiar with raising and caring for animals, the future legislation is planned to have considerations for ensuring that animals are not neglected or mistreated. The legislation will also most likely set limits on the types and numbers of animals allowed. 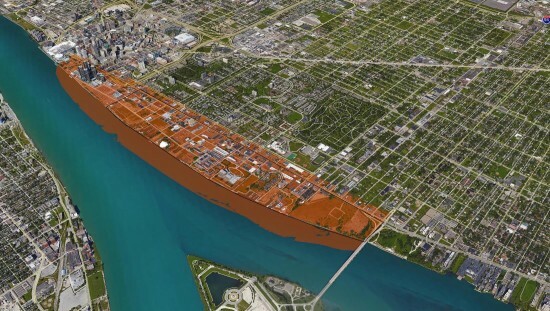 The large number of empty lots in Detroit, as well as in other post-industrial cities, have long been a discussion for urban planners hoping to revitalize blighted neighborhoods. With new ideas of how cities can define themselves through local production and self-sufficiency, many feel urban agriculture is a logical solution. And many also believe there is nowhere better than Detroit, a city built on production innovation, to experiment with an ancient occupation in new ways. Detroit will soon be joining the over 70 other U.S. cities with bike share programs. The 350-bike, 35-station system is on track to open in 2016, with recent monetary support from public and private sources. The Henry Ford Health System/Health Alliance Plan has agreed to three years of support with an undisclosed amount to help with the estimated $1 million annual operating cost. An additional $1 million has been awarded to the program by the Federal Highway Administration's Transportation Alternative Program Awards, offsetting a large portion of the $2 million startup costs. Despite its moniker as the Motor City, Detroit has had the fastest-growing bike ridership in the country over the last 15 years. Compiling data from the American Community Survey, the American League of Bicyclists found that Detroit’s bike ridership has grown by 403 percent since the year 2000. At the same time another study coordinated by Wayne State University investigated the feasibility of a bike share program in Detroit. That study, conducted in 2013, also presented an optimistic outlook on a bike share program, noting, “In particular [a bike share program] offers a means to strengthen connections between neighborhoods, complement existing and future transit services, serve as an amenity to both residents and visitors, and support the revitalization of Detroit.” That same study outlined a possible phased implementation as well as economic/administrative model for the program. It is from these suggestions that the city has settled on the 35 station initial launch, as well as its public/private funding of the system. 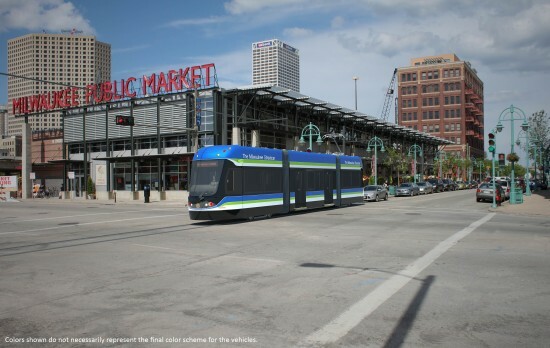 The next steps will be to find a vendor and operator, which the report suggests should be a non-profit organization specifically set up for the program. 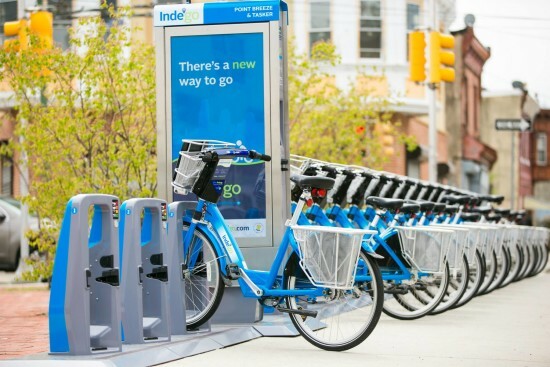 Luckily for Detroit, there are now many precedents to follow in launching a bike share system. Cities like Philadelphia are providing models on which to base successful programs in cities historically dominated by car travel. 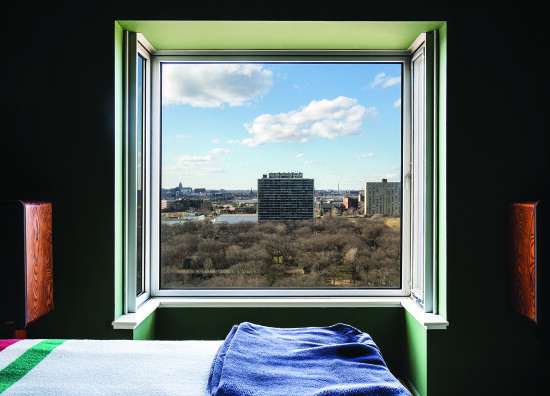 “Detroit is not having a renaissance,” philanthropist Gary Wasserman proclaimed in the Bushwick, Brooklyn studio space of painter Markus Linnenbruck, “It is an entirely new expression of urbanism.” With the sun pouring in through large, iron-frame windows, he introduced the concept for his new Detroit arts venue. Cities, he says, are “the 21st century frontier,” not the West or Space. “Detroit is not the only city to fail, but it is the biggest,” he said, noting that the city was once over 2 million people, but is now down to 600,000 or so. This has left massive amounts of transportation infrastructure, cultural infrastructure, and housing redundant and abandoned. In this landscape, the city needs more places to sustain urban activity. Wasserman wants to create “a destination providing something of interest that becomes another thread in the urban fabric,” he explained. 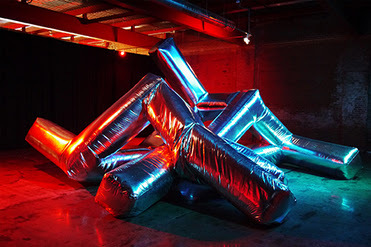 Wasserman Projects will be located in an old 5,000 square-foot fire station in Detroit’s Eastern Market district and will open on September 25th during the Detroit Design Festival. The new arts hub is expected to spur artistic interaction and development. The space will grow to 9,000 square-feet in the coming months, and will eventually include a kunsthalle, chamber concert hall, a gallery, an artist’s residency, a studio space, and a permanent installation of The Cosmopolitan Chicken Project, which is the work of Belgian artist Koen Vanmechlen. 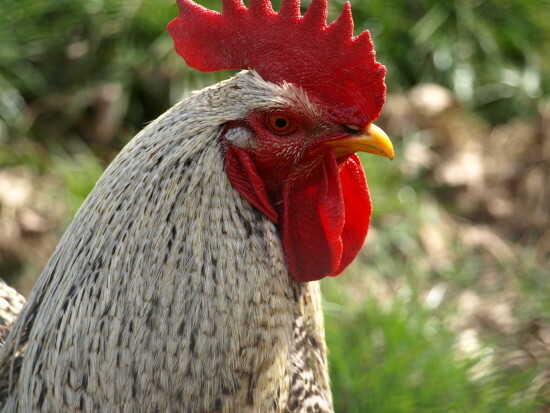 He breeds national symbolic chickens as a metaphor for human diversity. The opening exhibition will be a collection of paintings by Linnenbruck, shown in a pavilion designed by Miami architect Nick Gelpi. 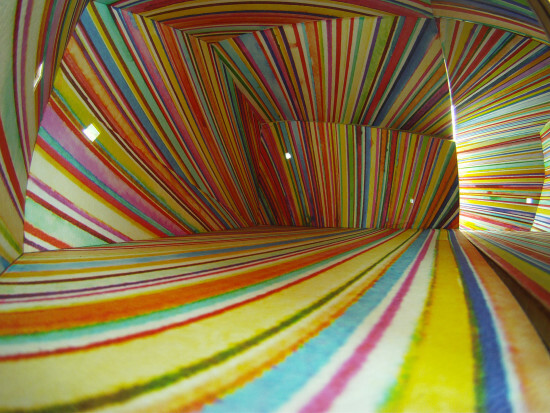 The pavilion is a large wooden structure that splits open to reveal a glossy, colorful interior painted by Linnenbruck. 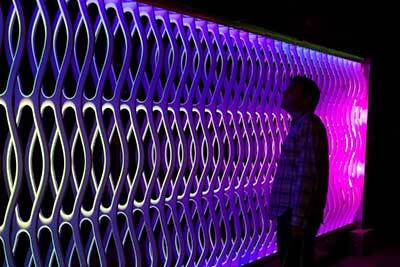 The two halves become an acoustic space for performance. Dan Gilbert, billionaire founder of Quicken Loans and champion of downtown Detroit commercial real estate, last week announced he will buy the long-vacant 38-story Book Tower skyscraper and two other adjacent buildings on Washington Boulevard. The latest in a series of acquisitions for Gilbert sizable portfolio under Bedrock Real Estate Services, the buildings will cost about $30 million total, to be paid to Vancouver-based AKNO Properties. That's for the 1926 Book Tower, the 13-story Book Building and an adjacent 2-story community center. Read our Q+A with Gilbert’s real estate partner Jim Ketai here. 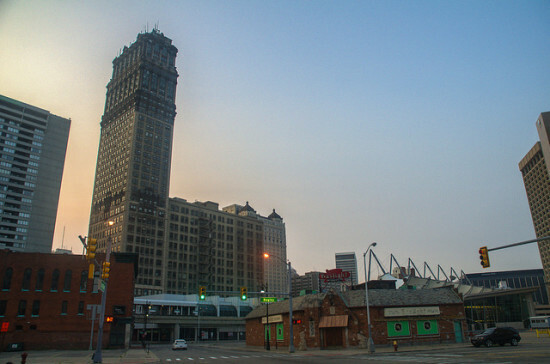 The Detroit Free Press quoted Gilbert as saying he's planning "a game-changing, mixed-use development.” The tower and the Book Building have been vacant since 2009, and renovations are expected to cost more than $100 million.